Beachfront condo rentals at A Beach Retreat on Casey Key, Nokomis, Florida located just north of Venice and south of Sarasota. Daily rates available. Siesta Key just offshore of Sarasota, Florida. Private access to Crescent Beach. The Siesta Key vacation condo rental is a one bedroom / one bathroom individually owned condominium at the Gulf and Bay Club Bayside and is furnished with the basic household items necessary for normal living. This unique Old Key West style condo is fully equipped with an emphasis on vacation living. The unit has a queen-sized bed and queen sofa bed. Condo also comes equipped with free high-speed broadband cable and Wi-Fi wireless internet access. You must provide your own compatible laptop computer. For those renters traveling without a laptop computer, there is a computer in the nearby rental office for your use during normal office hours at no additional charge. The garage for this unit is the middle garage in the building to the left. The condo's convenient location offers a short walk to one of the property's heated pools, tennis courts, Crescent Beach, and bay. The Siesta Key rental is surrounded in a warm family setting and offers amenities including an in-unit washer / dryer, private garage, a spacious floor plan and updated appliances. The vacation condo rentals are located securely within a gated community and provide their visitors with tennis courts, two oversized heated pools, club house, nature trail, bay fishing, private beach access, and much, much more. 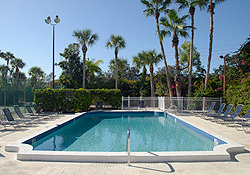 Getaway resort vacation condo rentals can offer privacy and amenities not found in other typical vacation lodging accommodations such as hotels, motels, villas, inns and other Sarasota condo rentals. Siesta Key is an eight-mile-long tropical island just offshore of Sarasota, Florida, joined to the mainland by two bridges. It is a popular resort that has retained its natural beauty. Nestled between Intracoastal Waterway and the Gulf of Mexico, Siesta Key is everything one could imagine paradise to be and is the perfect year-round island destination. Siesta Key beaches are rated among the best in the world. The beautiful white sand is soft, floury and cool to touch even under the hottest sun. The Siesta Key / Sarasota area is a birder's paradise and is nationally recognized as one of the top birding areas in the nation. Along the beaches and bays you will see gulls, terns, plovers, pelicans, egrets, herons, ibis, spoonbills, storks and cranes. 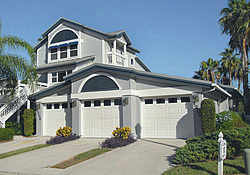 There is an abundance of restaurants and nightlife on Siesta Key and nearby Sarasota. With Sarasota only minutes away, you will never be at a loss for things to do and see. For the sports-minded the area offers numerous golf courses, tennis, fishing, boating, kayaking, jet skiing, parasailing, water skiing, bicycling, scuba diving, horseback riding and professional baseball, hockey, football and golf. Sarasota Bradenton International Airport is nearby, and airports in Tampa and Fort Myers are just a little over an hour drive from Siesta Key / Sarasota Florida. For more information about the Sarasota Florida area visit the Siesta Key Chamber of Commerce and Sarasota Chamber of Commerce web sites. 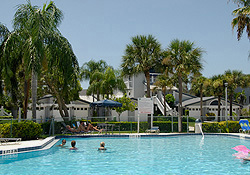 To bookmark the Siesta Key Condos web site for easy recall access click here. 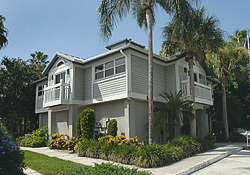 Experience life in paradise is a service marks of Siesta Key Condos. 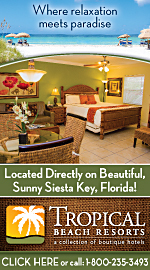 Web site designed and maintained by Seista Key Condos.